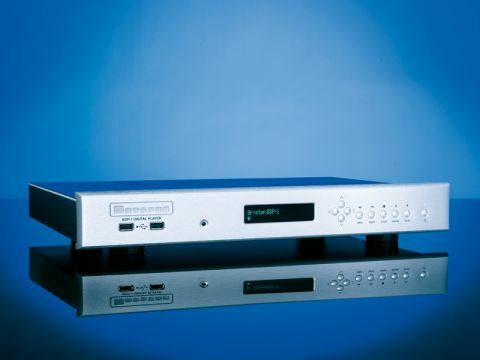 The engineers at Bryston have made the radical decision to build the BDP-1, a digital music player that doesn't stream music from a computer. Their angle is that streaming is bad, but digital music files are not. Is this then a brief diversion from the tidal onslaught of streamed music over solid software, or it could signal a new angle that brings us music files without the complications of streaming. Bryston's approach is to let you access music files stored on USB drives, be they thumb drives or hard drives which you stock up with music on the computer and then plug into the player. This approach is already available on a number of the streaming devices we have seen and does mean you can avoid the occasional glitches of wireless streaming, but it also makes getting new music a bit more cumbersome, albeit not significantly more than the traditional disc in a draw system that we have enjoyed/endured for so long. The BDP-1 has four USB inputs, the two on the front being for flash drives or powered hard drives, while the two on the back can power any attached drives. The idea is that you hook up larger terabyte drives to the back panel for a full collection of music and play new pieces with thumb drives through the front sockets. You can't transfer data from one drive to another and each time you connect one it has to be scanned by the player so that it can update itself and show you what's on there. There are a number of ways to find what you want to play, out of the box you can navigate via the front panel display (this is not a large thing so you need to be close to it in order to read it) and you have to be close to it to scroll through it with buttons on the facia. The BDP-1 does not come with a remote control, that's an optional extra, but there are other control options. One is to drive it from a computer using an add-in for Firefox called Minion and the other is to download an app called mPod onto your Apple touchscreen device be it a Pod, Pad or Phone. Both these latter routes require an Ethernet connection between the player and your router, a connection that one would have thought could easily be used to stream through. We used the mPod app on an iPod Touch and found that it was easy to install and intuitive to use if a little slow to respond, but that's something you get used to. What takes a bit of familiarisation is the operating style of mPod, which is clearly geared toward playlist style use. If you have a track playing, for instance, and then choose another one, the system will let the first track finish before starting the next unless you press the next key. You can choose to play all the tracks on an album in sequential or random order, or do the same with a whole directory – that is the contents of a given drive. It's not up to usual iPod usability but comes close enough and you can show album art or a track listing but not change volume, the BDP-1 doesn't have an analogue output let alone level control. Signal is output via one of two electrical digital outputs that don't include a RCA phono socket, but rather opt for the technically better but less common BNC connection – the BDP-1 is more a digital transport than a player. Bryston is renowned for the build quality of its products and offers a five year warranty on digital products. The BDP-1 is built much like one of its preamplifiers with a solid aluminium front panel, clear two-line display and steel casework. It has pretty minimal socketry for four USB devices, Ethernet, digital outputs, RS232 connection and voltage triggers. The controls are much like those on a CD player except for the addition of the four navigation buttons which let you find your way around the attached drive(s). In technical terms, it's ability to play files up to 24-bit/192kHz puts it among the leaders in the music file game, but this is something that can be achieved with a computer via USB and, in both instances, you require a DAC that can accept this density of information. Bryston says the system's advantage is that it accepts raw data from a USB drive which means jitter is not an issue, but it's hard to see how the data sent from an attached drive differs from that streamed from a remote PC or hard disk, in both cases jitter only becomes an issue when the signal is converted to SPDIF or AES/EBU and sent to a separate DAC. This is why streamers from Naim and Linn have onboard converters and these are the products that the BDP-1 has to beat. Naim's Uniti is an all in one streamer/CD player/DAC and amp for £2,100, while Linn's Majik DS is £1,840 and doesn't have USB, but does include a DAC and volume control. The BDP-1 does sound good when paired with Bryston's £1,950 (HFC 316) BDA-1 DAC, but then that's a pretty good DAC in its own right, nonetheless the 'player' is capable of pretty engaging results with all manner of music and we could easily have whiled away far more time than was available listening to familiar pieces and a selection that distributor PMC had supplied on a terabyte drive. Once you have familiarised yourself with mPod, it's quite a pleasurable driving experience as well, the software's playlist mentality means that the latest selection will be added to the list of tracks to play rather than take over from what's currently on, but you can jump to the desired piece with ease. It lags slightly when compared to a CD in a regular player via the same DAC, with the disc having a lighter touch and less 'glare' around treble sounds, cymbals for instance have a slightly unnatural brilliance with the BDP-1. But taken on its own the BDP-1 is quite convincing, it can deliver the dynamics, atmosphere and scale of a full-on orchestral piece, as well as the finesse and delicacy of more subtle music. It reveals the advantages of hi-res files quite well too with Rachmaninoff's Symphonic Dances revealing a lot of its soundstage depth and huge dynamic swings. There is an appealing fluidity to the result that's uncommon with digital sources and while you wouldn't mistake it for a turntable (it's basically too quiet for that) there is something of the analogue in its sound that keeps you listening. Next to a Macbook laptop playing via USB into the DAC, the BDP-1 put in a richer and more substantial performance, but we get the impression that the Bryston DAC's AES/EBU is a rather better input than its USB, so the playing field was not completely level. Late in the day another tasty DAC turned up in the form of the Antelope Zodiac + and this proved to be rather more revealing than the Bryston – now we could hear right into the mix and enjoy nuances that have rarely been encountered previously. Essentially it showed that the BDP-1 is a more capable device than its partnering DAC suggests. Bryston has taken a brave step by producing such a niche product and while the results are really impressive they do not strike us as being that much better than units that add streaming and usually iPod playback to those offered here. Then there is the issue of control, with the remote as a not inexpensive extra and other options requiring a link to a router, you are left with a small screen on the unit to scroll through a lot of music. While the sound is clearly impressive and build quality high, we feel that the limited functionality undermines the BPD-1's ability to compete with the best in this fast moving sector.